Our dental practice is committed to providing the most comfortable experience possible for our patients. We utilize leading-edge technology and Dr. Hsu and his team have attended thousands of hours of post-graduate education courses and seminars so that our patients always benefit from the latest and most advanced treatment options. 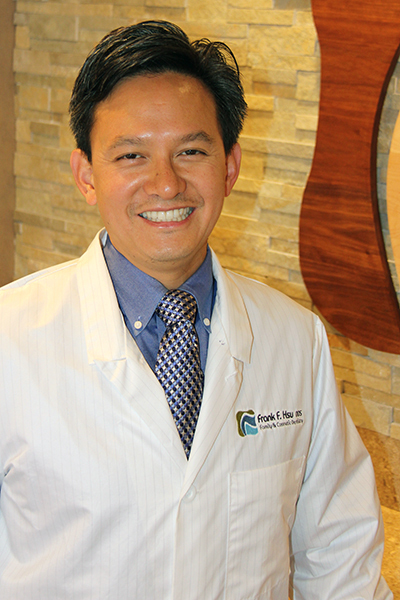 Dr. Frank Hsu has been living and practicing dentistry in the San Carlos area for the past 13 years. Dr. Hsu completed the Advanced Education in General Dentistry Program, a post-doctoral residency at the University of California, San Francisco, earned his DDS from Northwestern University and his undergraduate degree from the University of California, Berkeley. Dr. Hsu loves coming to work everyday and looks forward to spending time with his patients and helping them obtain and sustain beautiful smiles. 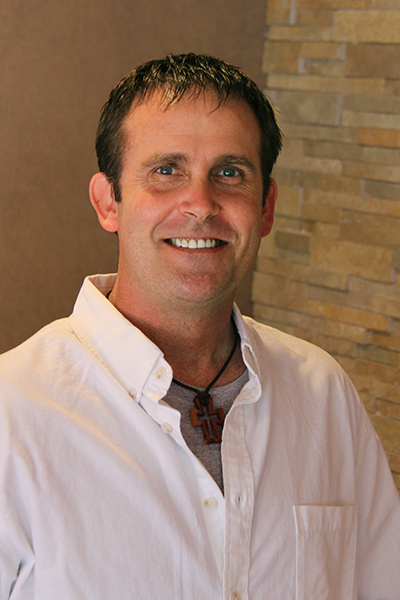 His goal is to provide his patients with the most relaxed and comfortable experience possible while using the latest technology and techniques. In order to stay at the forefront of the dental field and to constantly improve his services, Dr. Hsu has invested in all of the latest and greatest technology, has taken thousands of hours of post-graduate dental education courses and seminars and has done many residencies across the country. Dr. Hsu has also mentored other dentists in advanced clinical techniques. Dr. Hsu is certified with Lumineers, BioLase, conscious sedation, and oral implantology and he is also an Invisalign Premier Provider. Dr. Hsu is a member of the American Dental Association, California Dental Association, Academy of General Dentistry, San Mateo Dental Society, International Congress of Oral Implantology, World Laser Institute, and American Academy of Facial Esthetics. 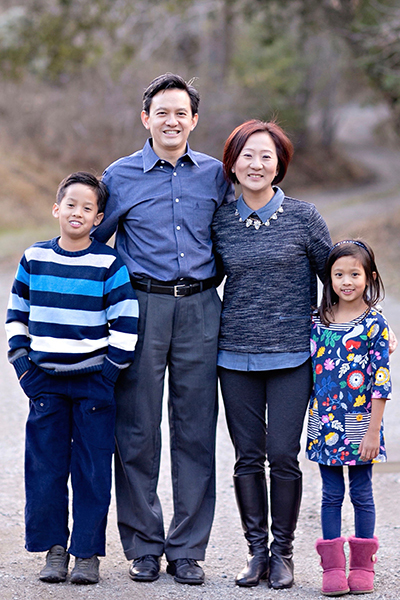 In his spare time, Dr. Hsu enjoys traveling, playing tennis, attending local music concerts, shopping at the local Farmer's market, and spending time with his family. Jennifer has been in the dental field for about 6 years. Jennifer always has a smile on her face and all of our patients love her. She always goes above and beyond the call of duty to help patients with any questions they have about their insurance, scheduling or any other questions about their visit. In her free time, Jennifer loves spending time with her family. She is married and has a beautiful little girl, who is an aspiring ballerina. Her family loves to travel, play volleyball and go hiking at new places around the bay area. Her all-time favorite movie is Finding Dory. 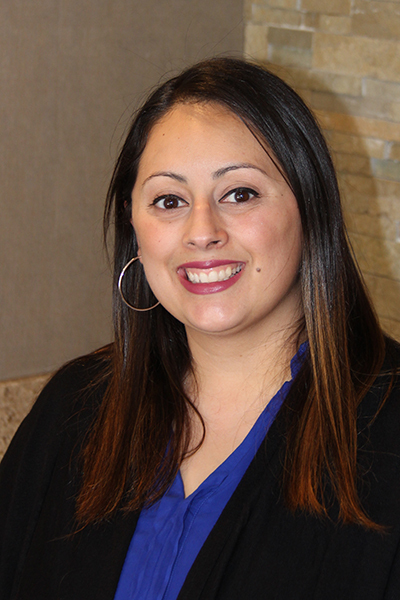 Rebeca has been in the dental field for over 7 years. She started her career in Mexico as a licensed dentist and then came to the United States to complete dental training to become a registered dental assistant. 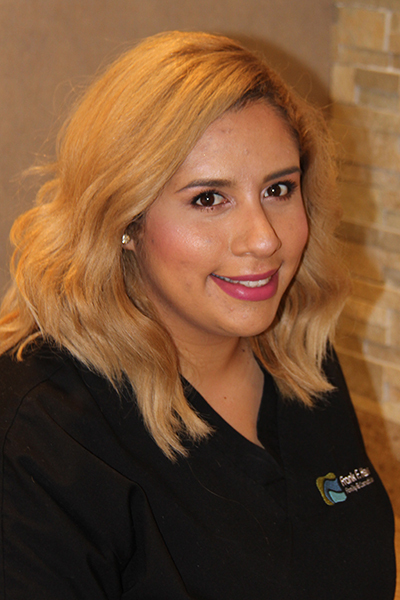 Rebeca has such a gentle touch with patients and always makes our patients feel comfortable and at ease. When she’s not here in the office, Rebeca enjoys singing in her church choir, spending time with her son, doing hair and makeup, hiking with her family and trying out new restaurants. Her all-time favorite movie is Finding Nemo. Crystian has been in the dental field for over 9 years. Because Crystian loves helping people and finds it incredibly rewarding, she decided to become a registered dental assistant. 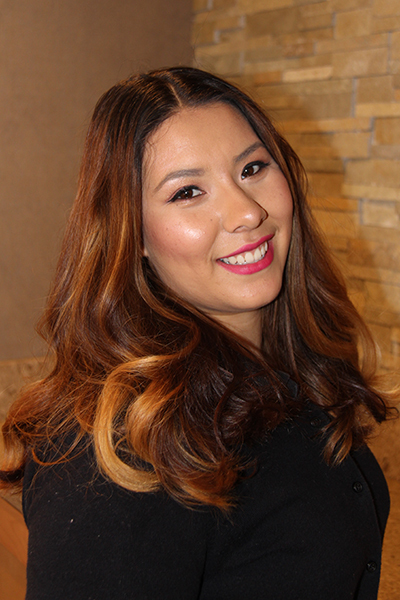 Crystian loves working with our patients and makes their comfort and well-being her top priority. In her free time, Crystian enjoys watching movies, taking her 2 year old daughter to the park and teaching her new things. She loves cooking and finding new recipes for her family to try. Her all-time favorite movie is Mr. and Mrs. Smith. Tyson is the most recent addition to our team and patients already love him, not only because of his incredibly warm personality, but also because of his amazing skills as a hygienist. He has been in the dental field for over 16 years. As a child, Tyson spent countless hours around his father's dental office and always knew that this was his passion. In his spare time, Tyson loves spending time with his family (particularly his adorable 2 year old nephew) and friends, staying active through bike rides and hikes, painting, writing poetry and continuing to educate himself on the latest advancements in dental hygiene in order to always find better ways to treat his patients. Tyson loves all types of movies and when you meet him, don't forget to ask him about his days as a nationally-ranked runner.